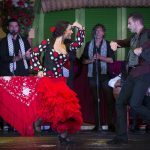 The tablao flamenco El Palacio Andaluz has several rooms. 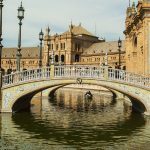 In one of them, located on the ground floor of the building, is “La Bodega Museo“, an exhibition space that houses “The Andalusian Museum of Flamenco and Art” of Seville. 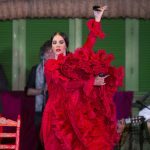 In this space, the visitor can see different costumes and photos of the artists that give life to the flamenco show of our tablao, as well as other Andalusian elements and signs of identity, such as the art of wine or equestrian art, among others. 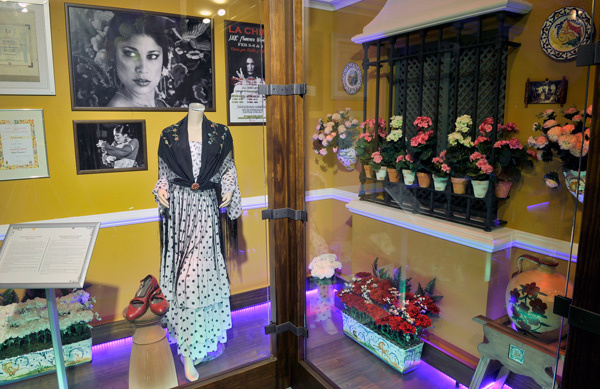 In ‘The Museum of Flamenco and Andalusian Art’ there is also a recreation of a booth of the April Fair, with all the trimmings and utensils so that the visitor can get an idea of ​​what the environment is like where the carnies meet with friends and relatives to eat, sing and dance. 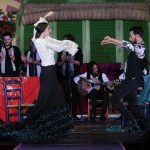 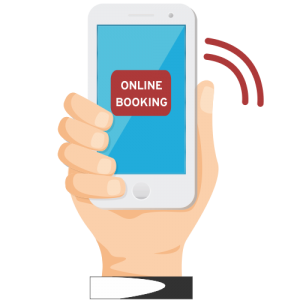 The visit to ‘La Bodega Museo’ is totally free for those who reserve the flamenco show in any of its modalities, both for individual bookings and for those made by the groups.